The Ministry of Water Resources, River Development and Ganga Rejuvenation is open to suggestions from all public stakeholders after the draft prepared by the Ministry said that measures adopted by concerned bodies to revive the Ganga are insufficient. The draft proposed to form an armed Ganga Protection Corps (GPC) along with other stringent measures. According to the Indian Express, the ministry has proposed to constitute a National Ganga Council and a National Ganga Rejuvenation Authority to impose and oversee all rehabilitative measures. 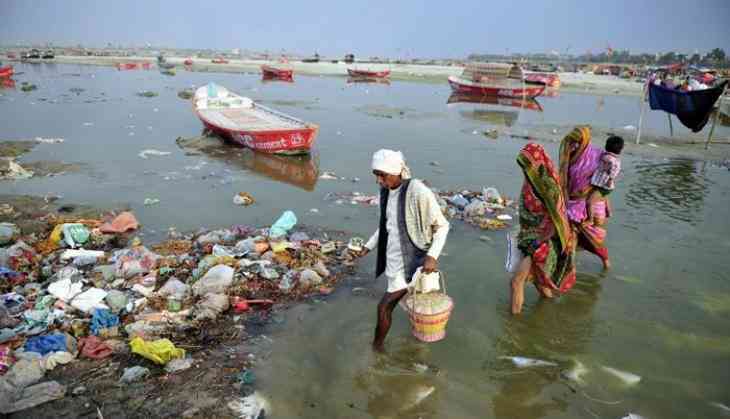 One of the measures is heavy fines and punishment on who either creates obstruction in the flow of the river or practice commercial fishing without little or no concern for the Ganga’s condition. The constitution of the GPC is aimed at ensuring that the armed group enforces penalties proposed for cognizable offences. The punishment for committing the offences may be up to to Rs 5 lakh or a prison term of up to three years. According to Times Now, these things will be considered as offence. Any construction work that obstructs the river’s flow, commercial fishing or aquaculture in the river or its tributaries, extraction of ground water for industrial or commercial use from land fronting the river or its tributaries and discharging untreated or trated sewage into river. The punishment recommended for a person or municipal body that will be responsible for discharging of sewage or trade effluent into river is a fine of Rs 50, 000 per day or an imprisonment for up to five years. And the punishment recommended for those who caught practicing commercial fishing is Rs 2 lakh fine and two imprisonment while two years imprisonment or Rs 50 lakh or both for construction of a permanent structure in the active floodplain.